"If jobs offshoring continued, the US would be a Third World economy in 20 years,” Paul Craig Roberts wrote in a column for the Press TV website on Thursday. 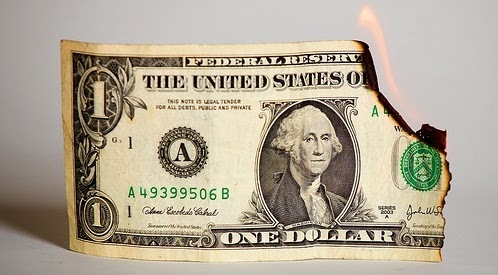 “With the world moving away from using the dollar to settle international accounts, as the Federal Reserve prints more dollars, the rate at which foreign holders of dollar assets sell off their holdings will rise,” wrote Roberts. A new jobs report released on Tuesday showed the US economic recovery continues to be sluggish and many economists warn that the constant fiscal fights in Washington only threaten to make the situation worse. The US economy added 148,000 jobs in September while the unemployment rate dropped slightly to 7.2 percent, federal economists reported Tuesday. The report fell short of expectations as economists had estimated the number of jobs added would come in at 185,000. “The decline in the dollar’s exchange value and the domestic inflation that results will force the Fed to stop printing. What then covers the gap between revenues and expenditures? The likely answer is private pensions and any other asset that Washington can get its hands on,” noted Roberts in his article. Analysts say that the recent US government shutdown could cloud the value of the next two monthly reports, meaning that a clear picture of the jobs market may not appear until the December report is released in January.